Bollywood Film maker Muzaffar Ali today joined the Congress in presence of party general secretary Digvijay Singh and UP president Rita Bahuguna Joshi. I have given support to Congress in 2009 elections but today I am joining the party, Ali said while stating that he want to do something for Lucknow, his native place. 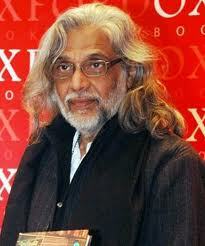 Muzaffar Ali, had tried his political luck since 1993 but had failed every time. In 1993 he contested assembly elections as Independent from Lakhimpur Kheri while in 1996 he contested the Lok Sabba as Independent from Lakhimpur too, without any success. In 1999 he contested the Lucknow Lok Sabha seat on Samajwadi Party against Atal Bihari Vajpayee. Talking about his experience with Mulayam Singh Yadav, Ali said that Mulayam s vision has changed which forced him to end his alliance with the SP. Fromer central Excise Commissioner Praveen Talah too announced her support for the Congress in the meeting.